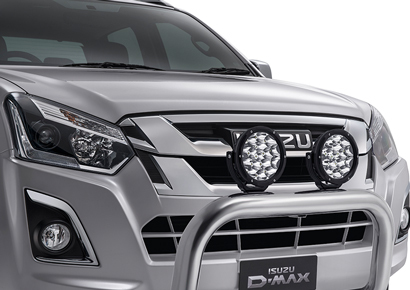 NOTE: Not all accessories are compatible with all D‑MAX models. 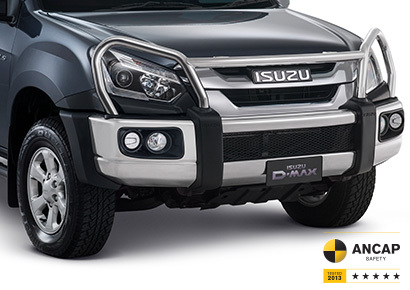 Specifications, features and availability may vary dealer to dealer and may change without notice. 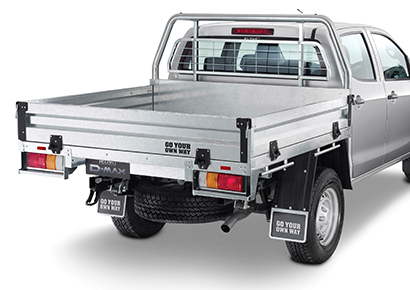 Please contact us prior to placing an order to obtain current information on prices, features, specifications and availability. 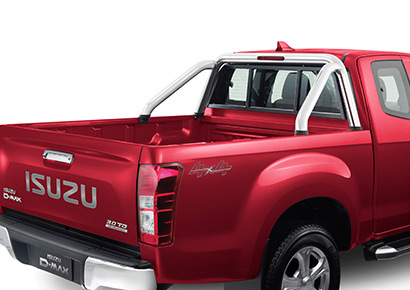 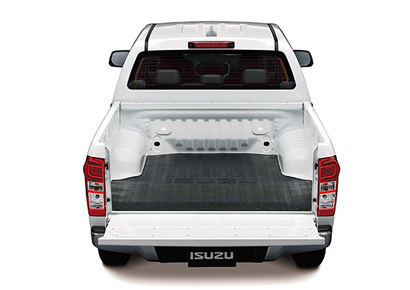 Isuzu UTE Australia Pty Ltd will not be liable for any loss whatsoever arising from reliance on this information. 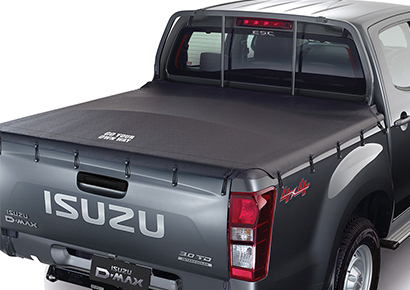 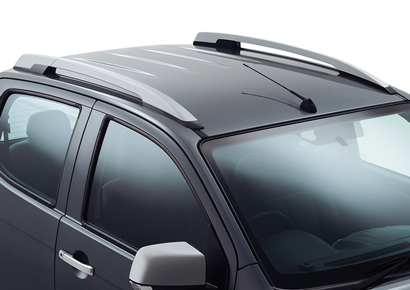 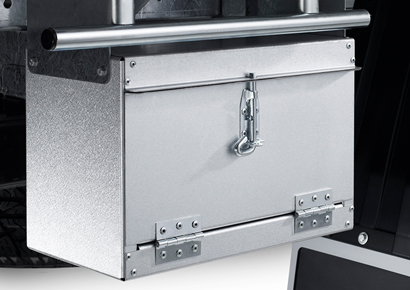 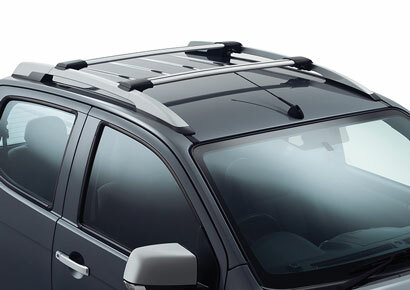 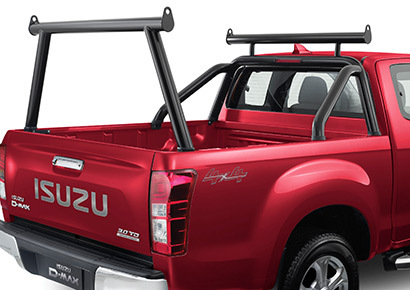 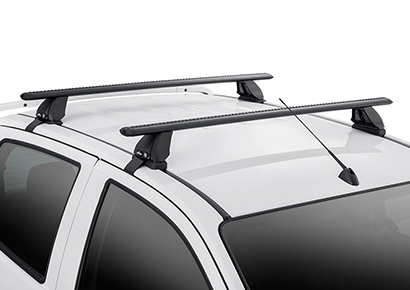 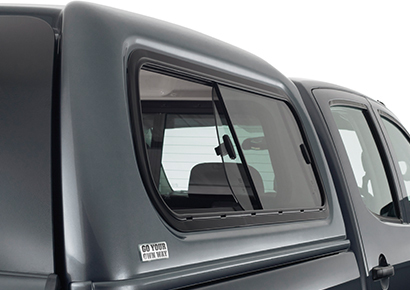 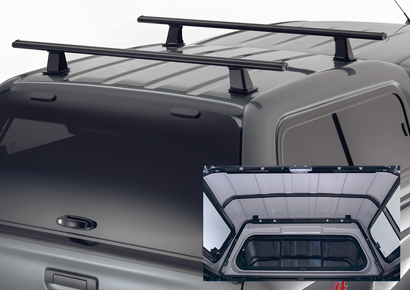 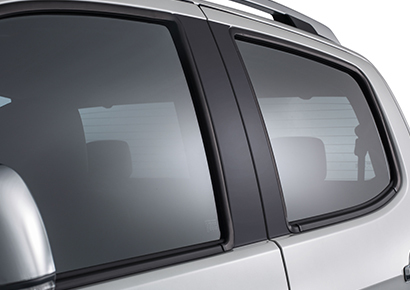 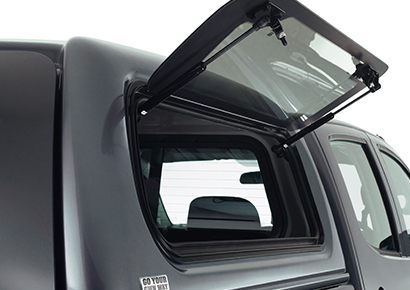 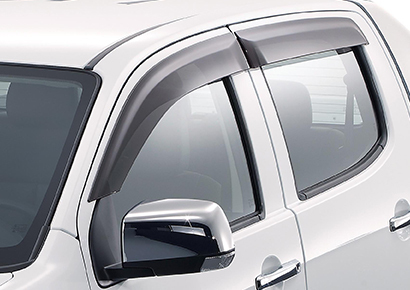 §The maximum capacity of the Roof Rails is 60 kilograms; however, capacity varies depending on the Cross Bars, load dimensions and weight distribution. 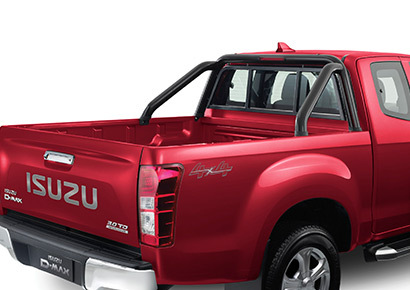 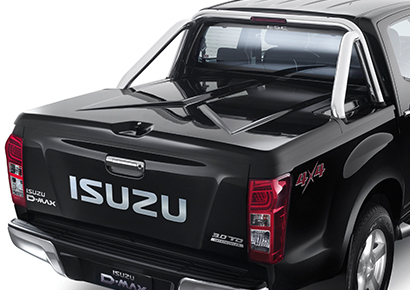 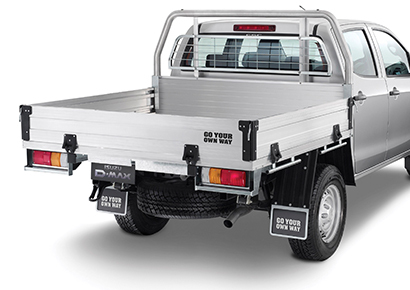 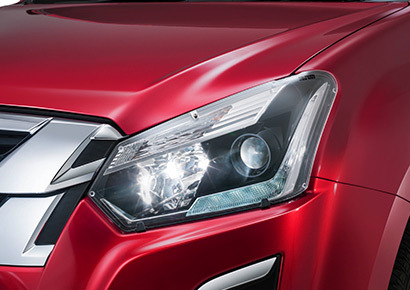 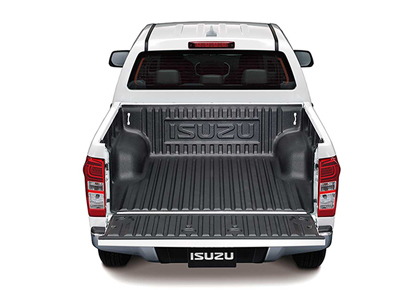 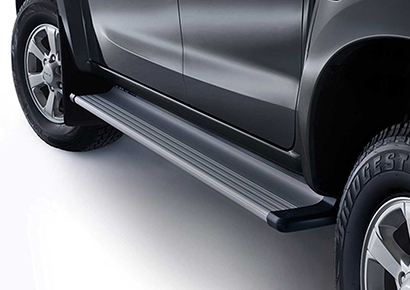 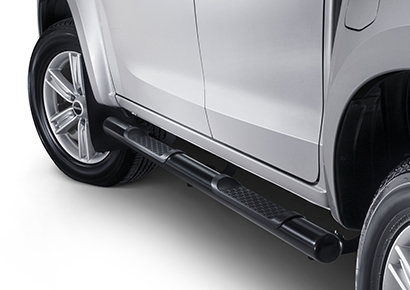 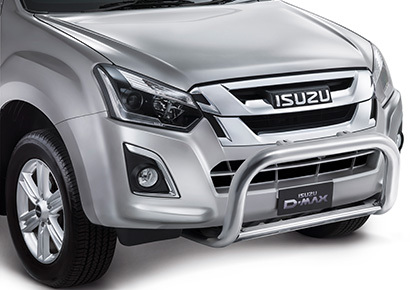 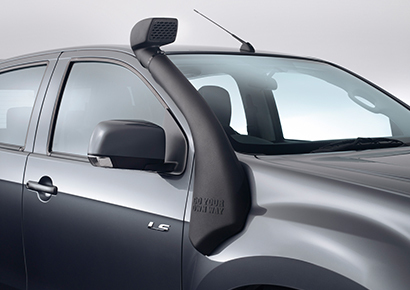 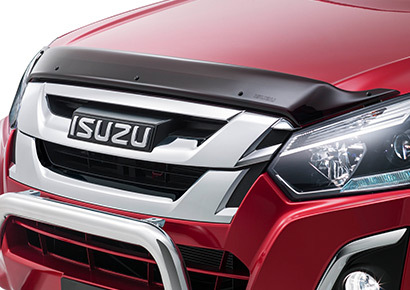 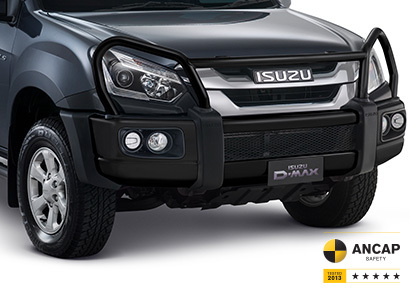 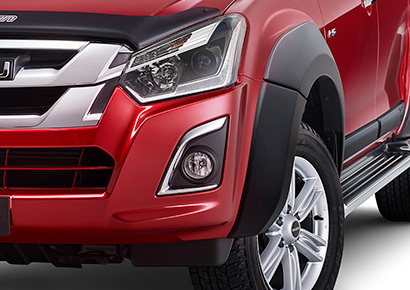 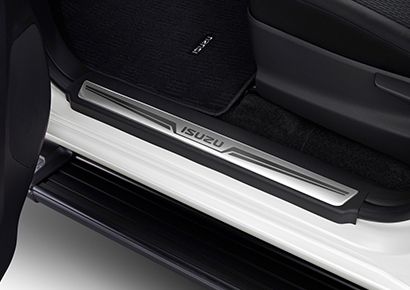 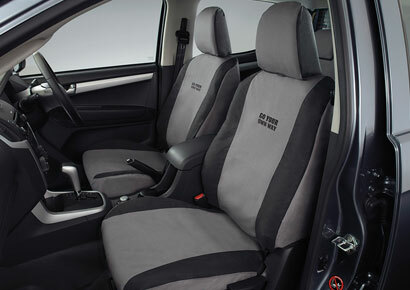 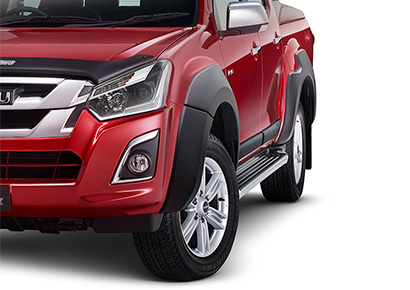 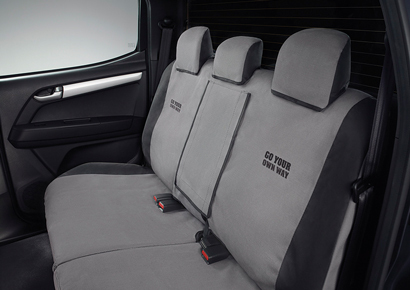 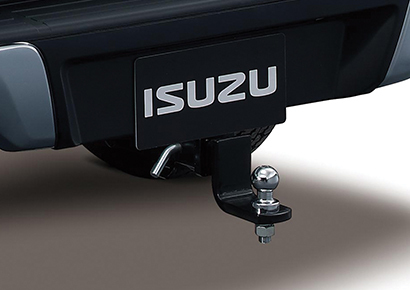 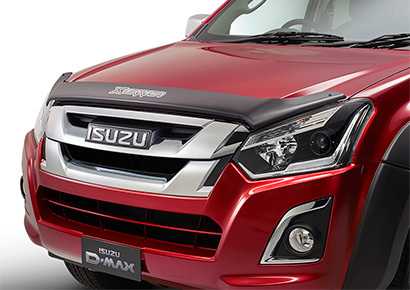 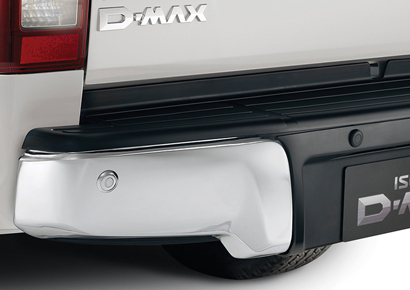 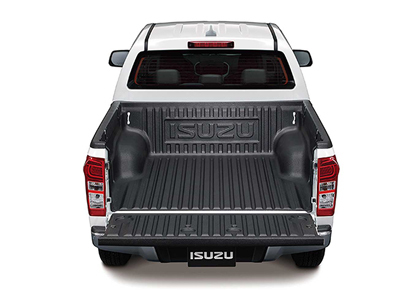 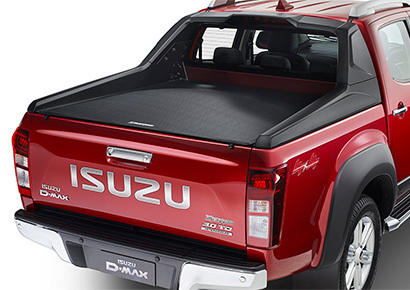 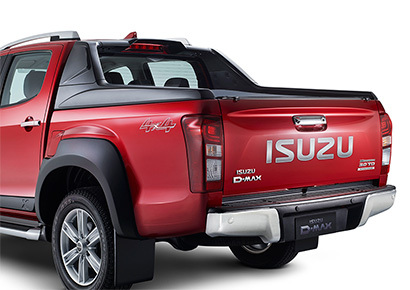 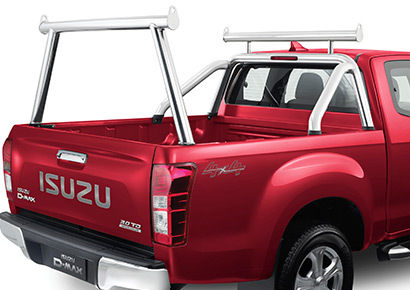 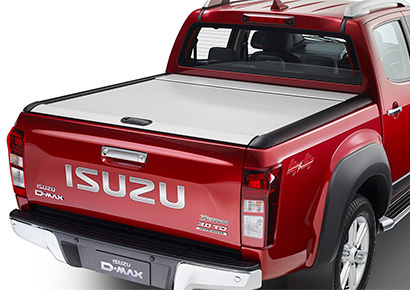 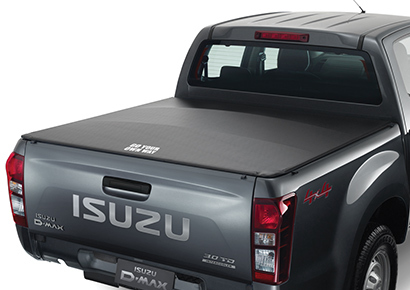 ~D-MAX models with an existing 5-star ANCAP rating retain this rating when fitted with an Isuzu UTE genuine bull bar. 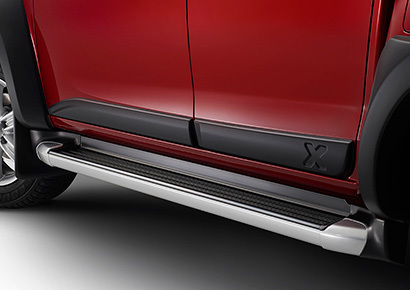 ‡Rear bumper not included on SX models. 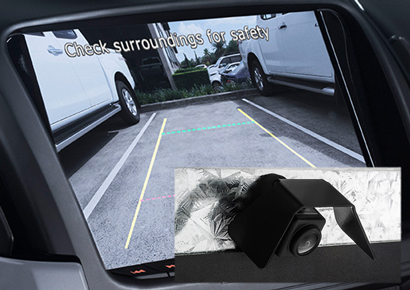 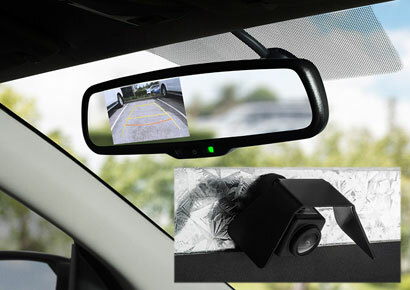 †In-Mirror Reversing Camera is compatible from 12MY D-MAX models fitted without an audio display system, please check your vehicle's compatibility with us. 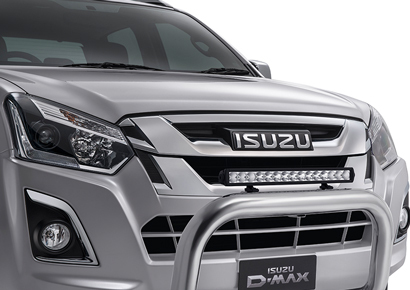 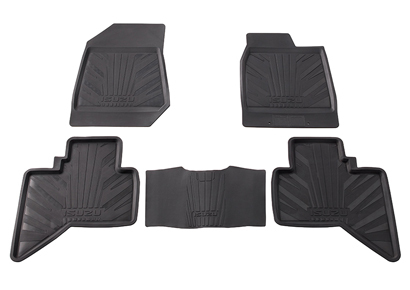 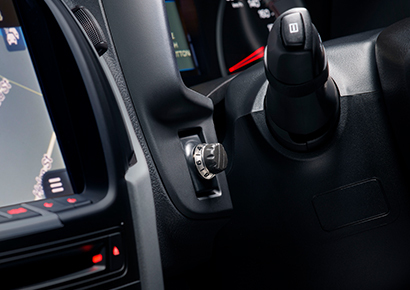 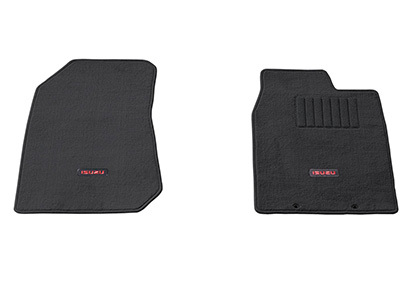 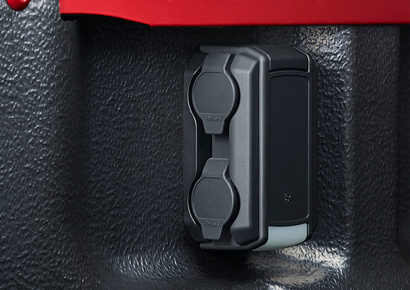 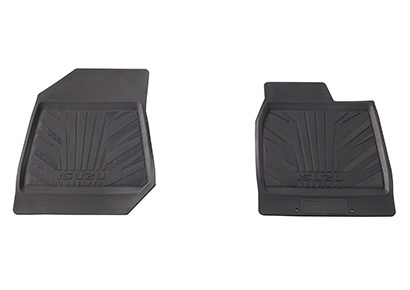 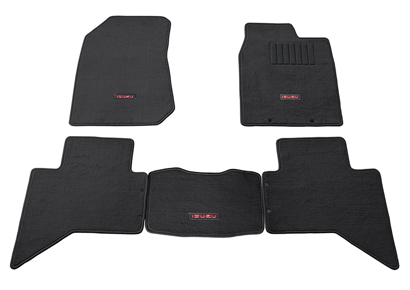 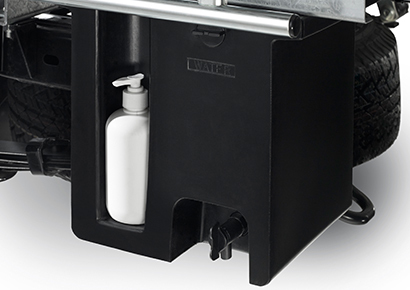 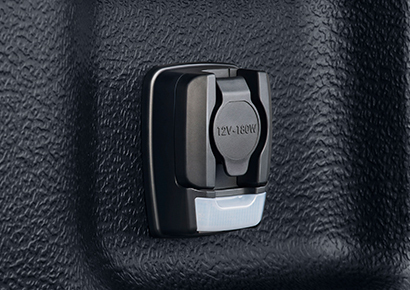 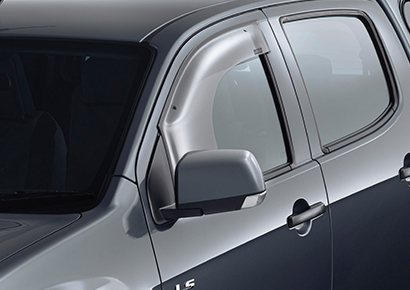 #Central locking mechanism is also compatible with some 15.5MY D-MAX models. 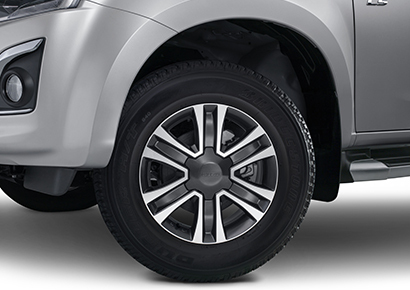 Fitment cost may be higher, please check costs and compatibility with us.